What makes this a standout is the fact that it is one of the few glaciers in the world that is magnanimous and active at the same time. Besides, every day, it tends to move ahead by 20 meters. This essentially means that the glaciers will hardly look the same the next time you visit Greenland, giving you a unique experience every single time. 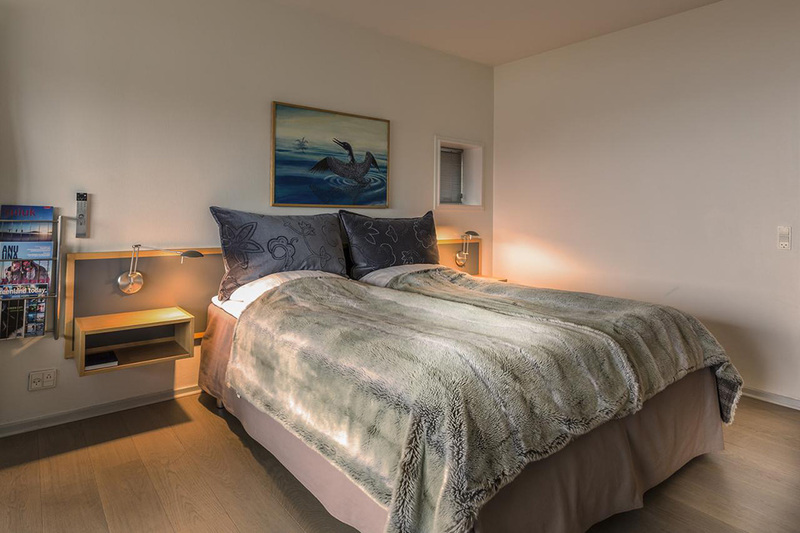 Located at just a 5-minute drive from the Ilulissat Airport, Hotel Arctic is a magnificent 4-star hotel offering a myriad of facilities and amenities to its guests along with a comfortable stay and scrumptious fine dining experiences. Situated in western Greenland, IlulissatIceforjd has been declared a World Heritage Site by UNESCO in the year 2004. This makes Hotel Arctic a place one absolutely must visit in their lifetime. Because of its prime location on the globe, this luxurious 4-star hotel is also the most northerly hotel property on the globe. Staying in Hotel Arctic is an experience like no other and is ideal for any adventurous traveler at any time of the year. Hotel Arctic has a stunning range of rooms and suites, each offering a unique style and fascinating views. Making you feel like you’re right in the middle of the stunning icebergs and the splendid sea, these beautiful rooms and suites offer luxurious comfort like no other. 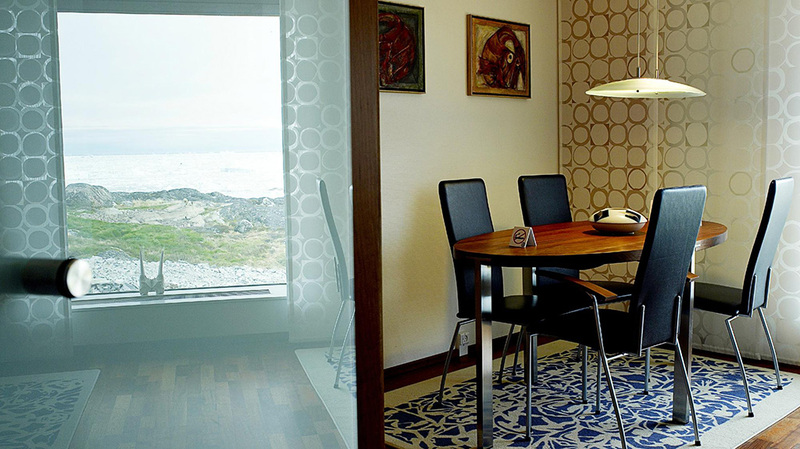 The Puisi range of rooms and suites give you the choice to have windows overlooking the town and harbor or the sea and icebergs. Minimalism is the key to the jaw-dropping yet simplistic design of the rooms, giving them a chic and modern feel. All rooms and suites have been designed by local artists. 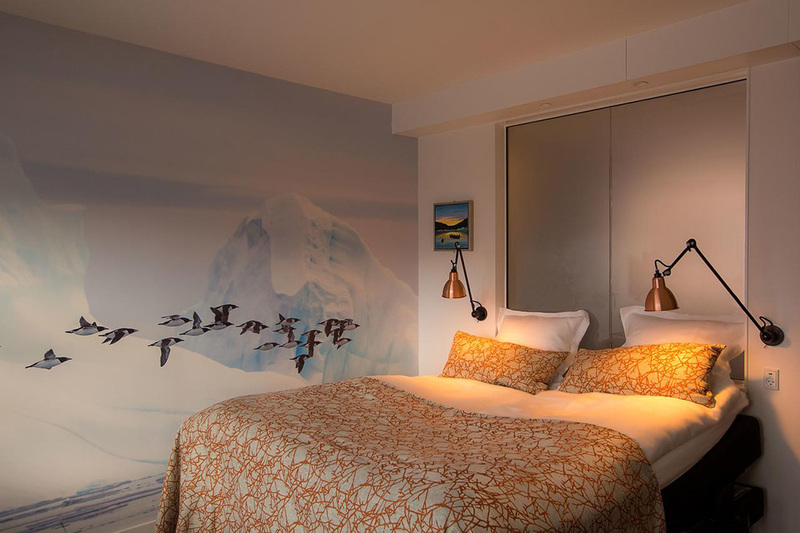 The Puisi rooms and suites are designed by Greenlandic artists Buuti Pedersen and Camilla Nielsen respectively. The Puisi range of rooms and suites belong in the Puisi Wing of the Hotel. In Greenlandic, Puisi also refers to a seal. There are 29 rooms and a suite to choose from. 20 Kayak rooms offer impressive views of both the seas and the town, depending on what you prefer waking up to. Complete with all amenities like a tea/coffee maker, 32” LCD TV, a mini bar and even a trouser press, you can be assured that your stay will be a comfortable one. In terms of the spaciousness, the Kayak rooms offer more luxury than the Puisi rooms. The Kayak Wing accommodates both the Kayak Rooms and Suites. The décor and style of all the Kayak rooms have been artistically designed by local artist Miki Jakobsen. There are 2 suites in the Kayak wing, which offer stunning sea and iceberg views. These suites offer more space than the rooms and are equipped with top class amenities. There is also a sofa that can seat two people along with armchairs for the ultimate comfortable experience. Taking inspiration from the kayaks, wildlife and the magnificent seas of Greenland, artist Miki Jakobsen has also designed the Kayak suites. If you’re looking for rooms of international splendor and chic modernism, then Hotel Arctic’s newest addition could be the answer. 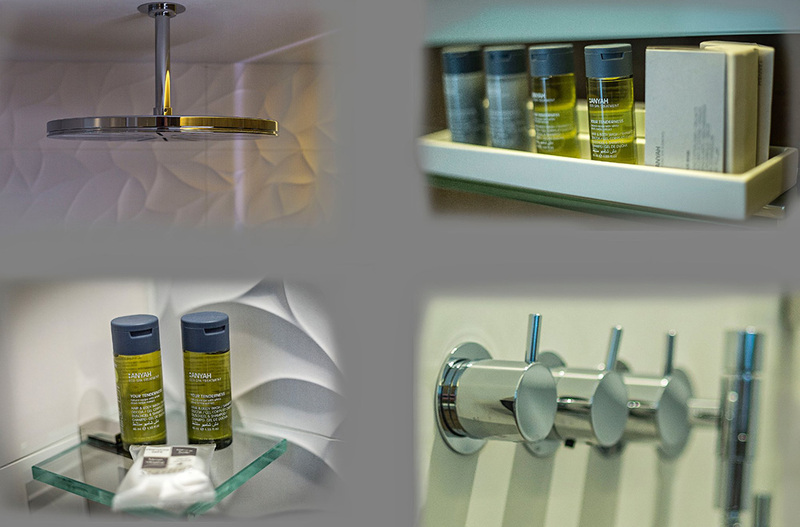 The Umiaq range of rooms and suites are brand new and offer elegant luxury. There are 21 rooms in this category and include all modern facilities like the mini bar, 32” TV and a plush bathrobe. A new wing by the same name has been created, which houses the rooms and suites. Umiaq is also Greenlandic for traditional women’s boat. The suites in this range too are an epitome of opulence. Of the 6 suites that are available for guests, three of them also have a balcony where you can sip on your coffee while soaking in the beautiful views of the seas and the icebergs. Artist Mikki Jakobsen has worked on this range of rooms and suites as well. All paintings that hang in these rooms and suites are the original works of Arne Reimer, a local artist. If living inside the hotel premises is too mainstream for you, you could opt for one of Hotel Arctic’s five Outdoor Rooms. These rooms have been recently added to the hotel and offer unmatched luxury whilst also being extremely offbeat. Guests living in these rooms can also access their very own private terrace and fells. 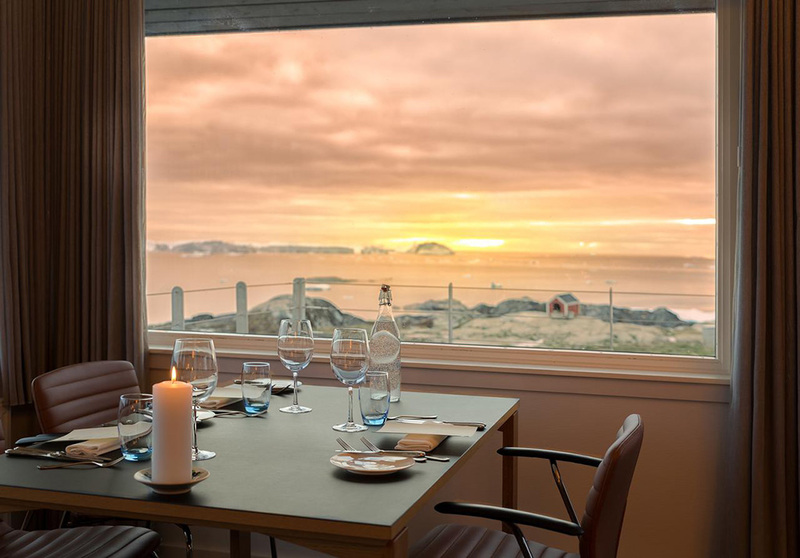 The Panorama window gives you striking views of the Disko Bay. These outdoor rooms form part of the Umiaq wing and are inspired by the Greenlandic Guillemot. If you want to have a truly offbeat experience during your stay in Ilulissat, staying in the Igloos in Hotel Arctic must be at the top of your bucket list. These glorious cabins constructed in the shape of an igloo offer the most eccentric experience of Ice Fjord and the stunning beauty that the Arctic region has to offer. These five igloo cabins are located outdoors and can accommodate 2 people in each cabin. Taking inspiration from the iconic igloos where Eskimos live, these igloos have been designed for the guests, However, the ice has been replaced by aluminium to offer the comfort and elegance that guests crave. These igloos are equipped with all modern facilities like tea/coffee maker, radio, TV, phones and even a bathroom. Hotel Arctic not only offers stunning rooms and offbeat experiences in terms of stay. If you wish to have a delightful culinary experience, you can be assured that this is the place to be. 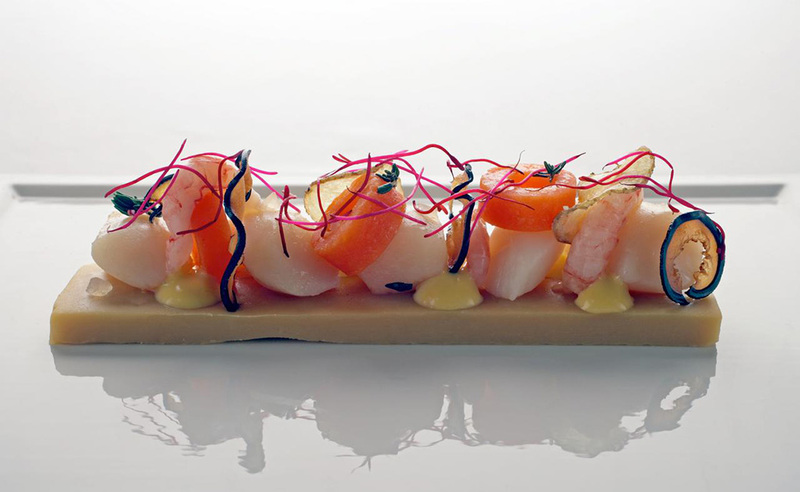 Restaurant Ulo offers a refined gourmet experience to culinary enthusiasts. 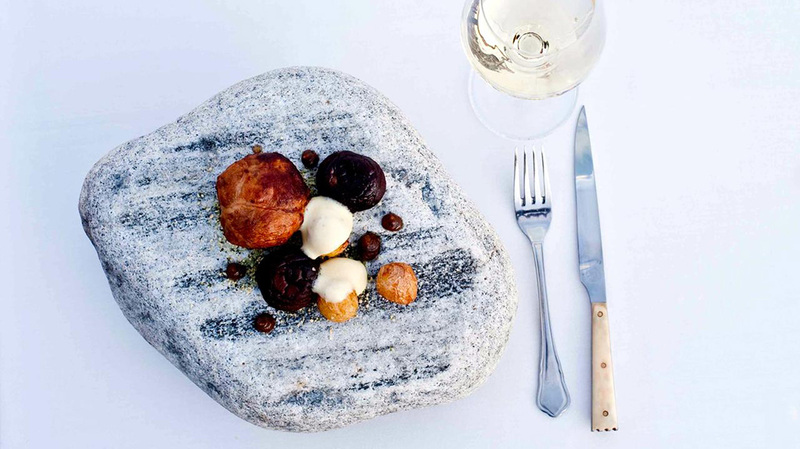 With ingredients sourced locally in Greenland as well as internationally, the cuisine is modern with a local touch. Not only do you get to savor the scrumptious fare, but you also get to take in the stunning views of the Ilulissat harbor and Disko Bay, not to mention the life-sized icebergs. Restaurant Ulo also serves a delicious spread of breakfast buffet each morning. If you want to skip the formal and opt for a relaxed atmosphere and meal, Café Ferdinand is the place to go to. Relish tea time with a range of delicious cakes washed down with gourmet teas and coffees. Light meals and refreshing drinks are the perfect way to end a long day of sightseeing. Housed in the Puisi wing is Loop fitness, which contains 10 equipment machines that help maintain optimum fitness whilst on vacation. It is based on the concept of HIIT, which is an abbreviation for High-Intensity Interval Training. If you’re looking to relax and rejuvenate instead, you could pop into the spa for a luxurious body massage instead. 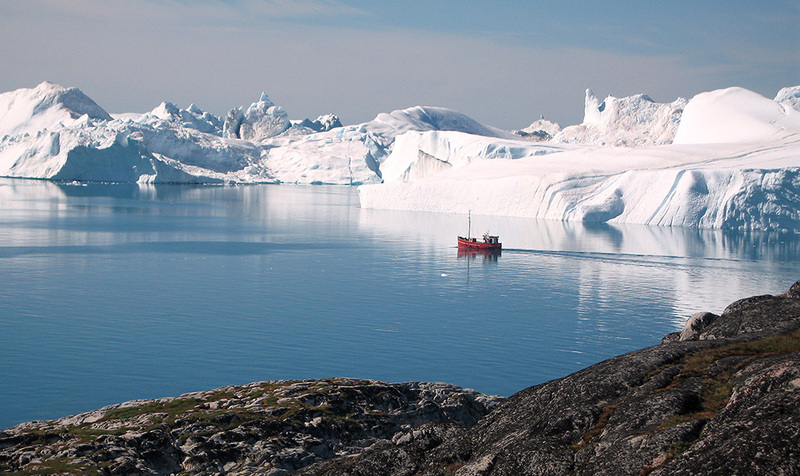 World of Greenland offers beautiful summer excursions to guests in the months of June, July and August. Depending on how adventurous you feel, you can choose to undertake this excursion either by walking or in a boat or helicopter. You will find on display, numerous local handicraft items, which are also available for sale. It is the perfect way to take home some souvenirs of a memorable trip and gift a part of magical Greenland to your near and dear ones. Hotel Arctic also has a wide array of sealskin coats of superior quality displayed throughout the hotel’s reception. It is also available for sale. The icebergs, which are a naturally occurring structure, look beyond magnificent and can be seen right from the windows of your hotel room. However, if you wish to have a closer look, you could easily do so by stepping out of the hotel and soaking in the minute details of the icebergs’ many forms and colors and the sounds that they make. 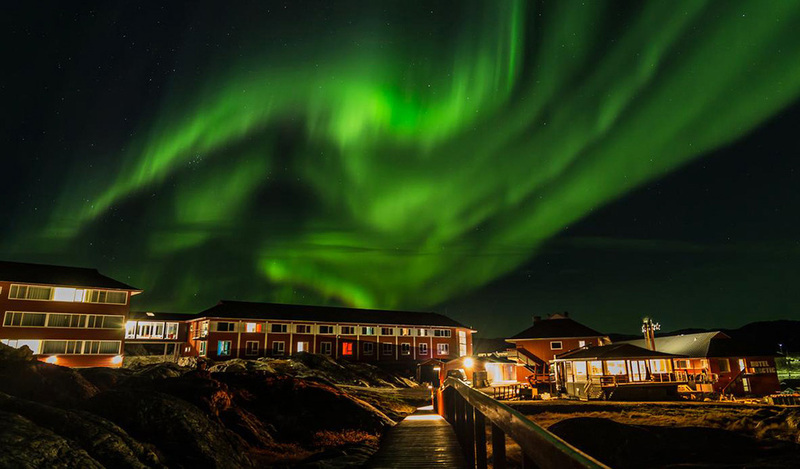 Hotel Arctic offers just the right location to get close to these giant natural formations whilst also keeping you extremely warm and comfortable throughout. Apart from everything we mentioned, here are some other info bits that will help you plan your travel and stay better. Reaching Hotel Arctic couldn’t be simpler with shuttle services getting guests to and fro between 6 am and 6 pm throughout the year, except peak summer months of June, July and August. The ever so helpful staff ensures that guests have a memorable time throughout their stay. The hotel reception is active all hours of the day and night to ensure all of their guests’ needs are looked after efficiently. The outside igloo cabins offer occupancy only during the months between May and October; so, if this is something you wish to experience, you must plan your visit during these months. Hotel Arctic caters to guests wishing to have a formal dinner as well as a more casual coffee and light snacking. Their breakfast buffets offer a delicious start to your day. If you’d like to have a truly offbeat living experience, you can opt to live in Hotel Arctic’s outdoor igloos, with stunning views of the icebergs and the sea. The spa offers therapeutic massages to unwind in luxury. Hotel Arctic is one of the most luxurious 4-star hotels in the far north of the globe. With awe-inspiring glaciers and life-sized icebergs just a stone’s throw from your room’s windows, Hotel Arctic provides a truly one-of-a-kind hospitality experience complete with delicious meals and memorable souvenirs.